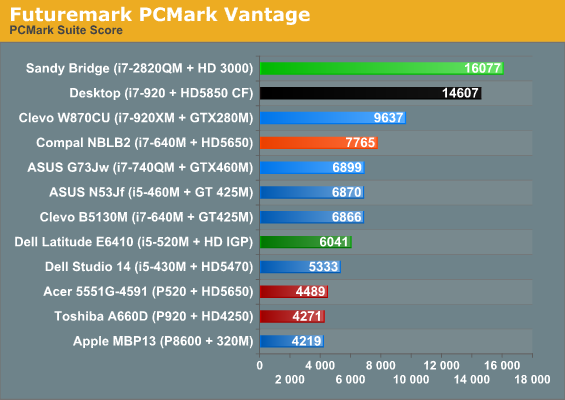 To correct the correction (I was going by the graphs), the graphs for the G73J should read GTX460M (I noticed the reference to the GTX460M in the text later and checked the G73J article). 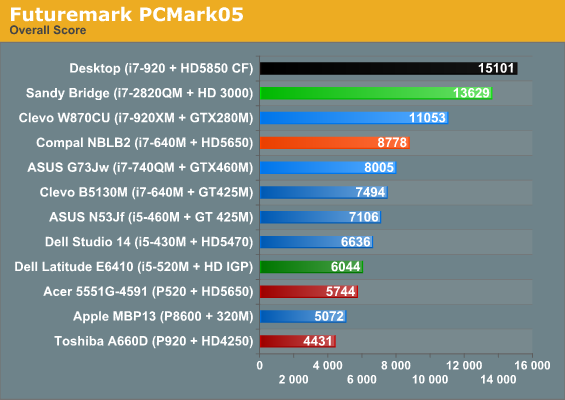 now all that is left are Gfx drivers, i hope intel put 10x more resources at their current Gfx Drivers team. Good idea testing at 1366x768. 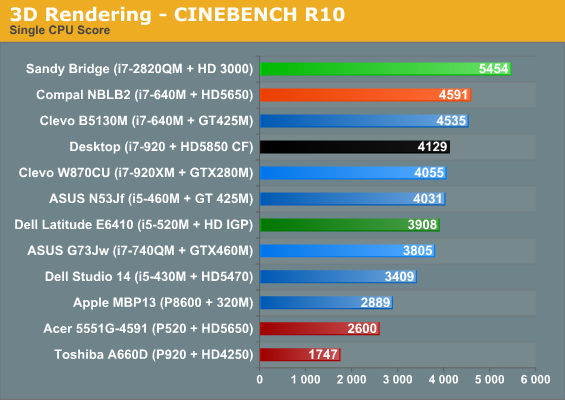 Not only does it fall in line with most notebook screen resolutions, but it also give good indication of 720p performance. 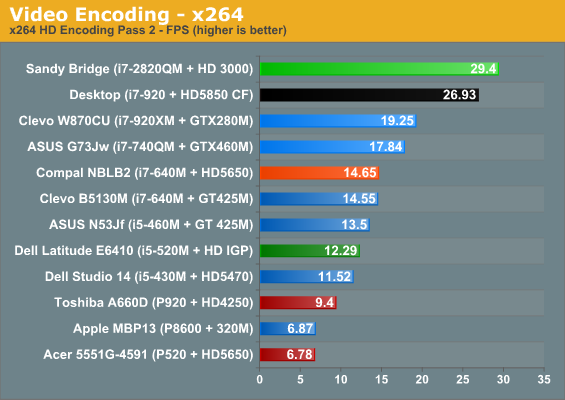 Given that many, many gamers play PS3 and 360 (most games being 720p@30fps), it's very good to see that most games are completely playable from low-medium settings. 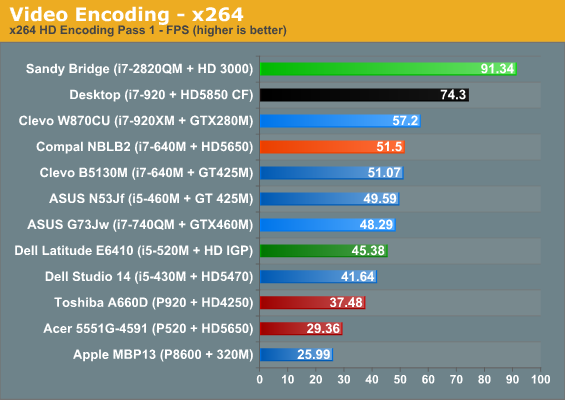 Some games could probably even get away with higher settings and still stay around 30fps. 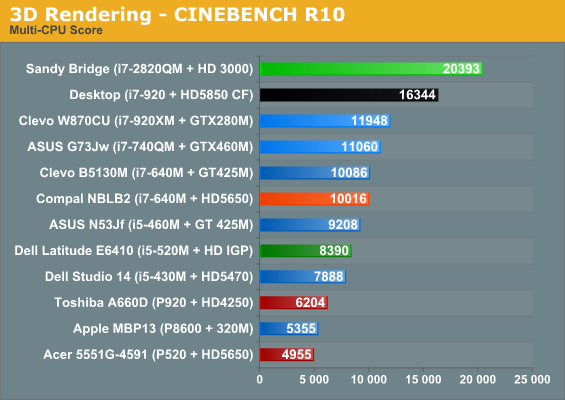 It's awesome that Intel is putting the "HD 3000" GPU in all its mobile chips, but I'm very curious how the different clock speeds of the GPU and CPUs will affect performance.